Nice rack. I couldn’t help myself. But, this is one about big racks. 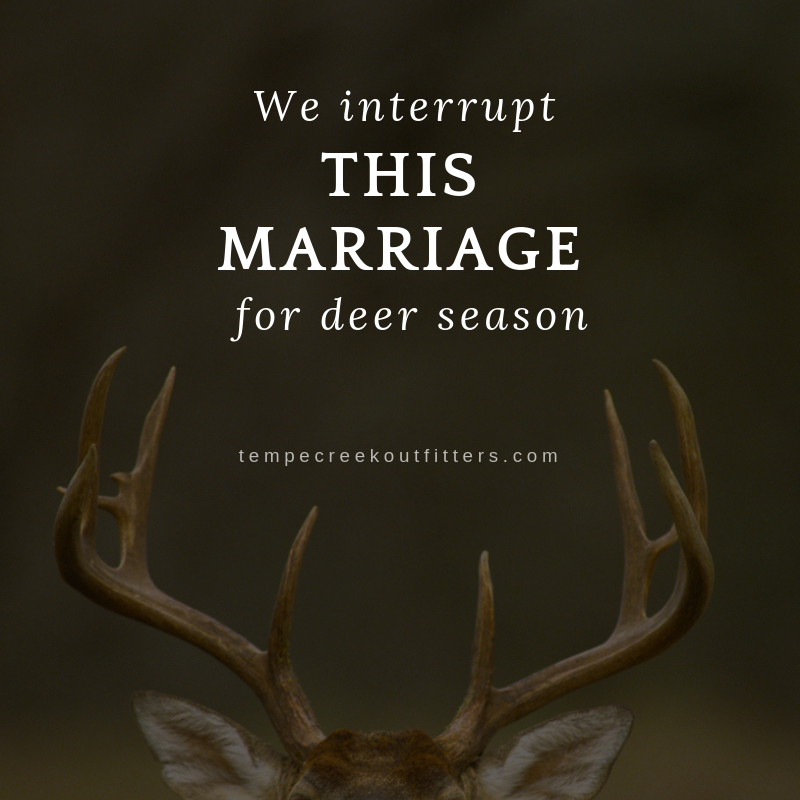 Tempe Creek Outfitters came to me last fall with an existing website, but needed help with seasonal social media. Being that they offer trophy whitetail deer hunts, there’s no need to be a heavy-hitter year-round in the social media world when they can only provide their service just a few short months each year. We had a lot of fun with a few posts that reflected the hunting culture—especially, in our part of Texas—where hunting is simply a way of life. This one was probably the biggest attention getter, and rightfully so. So, when the new year rolled around and hunting season was officially over, the owner decided it was time to give the website a makeover. I love a good makeover, and I love taking something and putting my spin on it. I like to analyze it and decide how I would make it better. We did a similar exercise in college, and I always loved it. We were charged with going around campus and collecting bad flyers. It was then our job to rework those flyers and make them better. I’m proud to share the new and improved www.tempecreekoutfitters.com. If you’re a hunter looking for a world-class east Texas whitetail trophy hunt, I think these folks can probably help out with that.